How can a hamster get fleas? 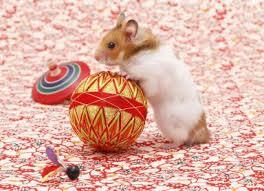 There are almost innumerable ways in which your hamster can become a sanctuary or host body for fleas to breed quickly. The most likely place from where the hamster is liable to pick up fleas is his bedding. And fleas prefer to stay in the hamster’s bedding and only attach themselves to his body when they need to feed on his blood. The possibility of coming into close proximity with other animals that might lead to the rodent becoming a host site for fleas is remote. Nevertheless, if you’ve other pets in your home like cats or dogs that are already carrying fleas, then the probability of the hamster picking up the parasite goes up. 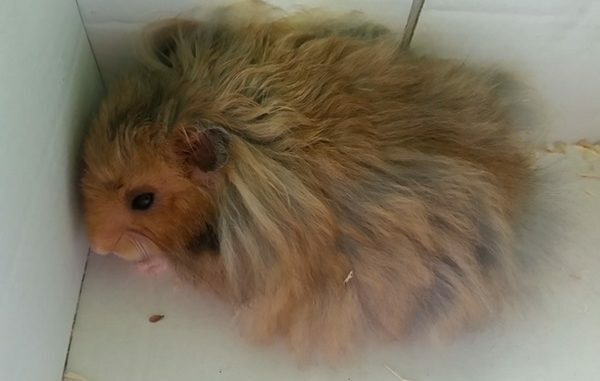 Your hamster shedding hair from his fur is one telltale sign that he’s contaminated with fleas or mites. Sore or swollen spots on his body resulting from constant scratching or scraping are clear symptoms of the presence of fleas. If you carefully observe the body of your hamster by directing a flashlight or torch, you’ll see microscopic dark spots that are in motion. Additionally, if you pat his fur in a backward direction, you’ll spot several of these parasites rushing away in an attempt to hide themselves. The simplest way of detecting the presence of fleas is to track ‘flea dirt’. 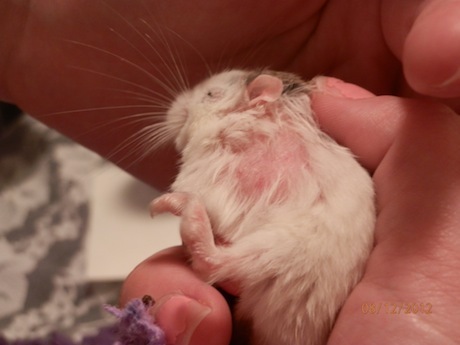 If you spot specks of dirt on the fur and spread across the skin underneath the fur, you can be certain that fleas are either present in the hamster’s bedding or in the kennel. Once you have reasons to believe that your pet has fleas, you should almost immediately discard its old bedding and make arrangements for getting a new one. To thoroughly ensure that the hamster gets to live in an environment that is completely free from fleas, you can consider going for a new cage. Before you can buy a new hamster cage, you should cleanse the cage to rid of all the flea-eggs. After you’re done with cleansing the living environment of the hamster, you should schedule an appointment with the local vet. Alternatively, you can take your hamster along with you to a veterinary clinic nearby. Expect the vet to prescribe an aerosol frontline spray or other branded sprays. Pet stores sell a range of flea shampoos that can be applied to weed out fleas from your pet’s body. Only use products that have been recommended by the vet. Conclusively, it can be said that in order to prevent parasites like fleas, ticks or mites from infesting your hamster, you should regularly change his bedding. You should also keep all his other belongings clean and also take appropriate steps for keeping other household pets free from pests and parasites.